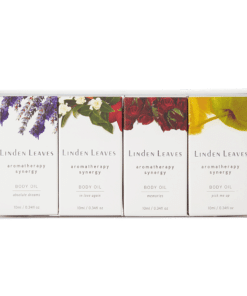 View cart “aromatherapy synergy body oil selection” has been added to your cart. A treatment body oil enhanced with amaranth oil to hydrate the skin and improve moisture retention. Nourishing essential fatty acids from chia help firm and soften the skin – delivering a long lasting radiant glow and healthy, younger looking skin. A treatment body oil enhanced with amaranth oil to hydrate the skin and improve moisture retention. Nourishing essential fatty acids from chia help firm and soften the skin to deliver a long lasting radiant glow and healthy, younger looking skin. This is the best body oil on the market. Leaves your skin feeling beautifully nourished. It works beautifully in making my surgery scars more supple, and hopefully in time, will lighten their colour. My sister has dry skin, so I gave her a new bottle to try. She absolutely loves it!! She said her dryer skin absorbed it readily (my normal skin didn’t)! Her 2 young children have eczema, and it helped with that. My younger son has the occasional skin rashes, and he loves it too when I rubbed this oil on him. He claimed it feels better than the other expensive “ultimate” skin repair creams we’ve tried over the years. This oil delivers. It feels like luxury & looks beautiful with the gold flakes. I will buy again as it the best body oil I’ve tried. Sinks in and the smell is stunning. Leaves the skin soft and looks good too!! A light beautiful body oil that is essential for a soft glowing skin. Beautifull presentation also.